Since its spectacular E3 2016 announcement, Marvel’s Spider-Man has sat upon the shoulder of a giant—Rocksteady’s Batman: Arkham series. Despite the webslinger’s game not yet being released, the comparisons are endless. For instance, the fluidity of combat is compared to the Dark Knight’s movement. Furthermore, fans and critics wonder if Insomniac’s storytelling prowess can reach the heights that Rocksteady set in motion. Insomniac’s Creative Director, Bryan Intihar, said the team certainly aims to earn a spot in Rocksteady’s exclusive club of developers who make good licensed games. 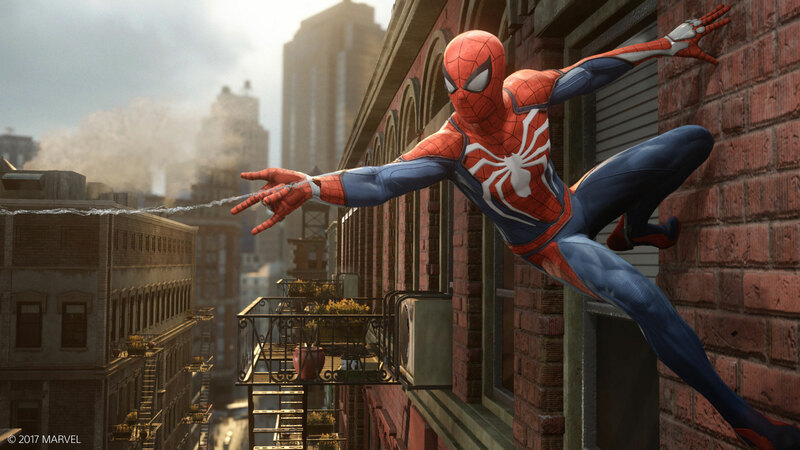 During a group interview at a press event in Milan, Intihar responded to a question about how other superhero games, specifically Spider-Man titles, inspired Insomniac’s development of Marvel’s Spider-Man. After explaining that the team did play those games, and calling out Neversoft’s Spider-Man as a personal favorite, Intihar praised Rocksteady’s work on its acclaimed Batman: Arkham trilogy. Let me get ahead of you: yes, we played the Batman Arkham games and many fans have asked how we’re going to compare with the quality standard they were able to set. Rocksteady redefined the quality of superhero games and we want to be at their same level. Surprisingly, since Batman: Arkham Asylum’s launch in 2009, few developers have tried emulating the Rocksteady formula. Sure, evidence of the unique combat system is present in games such as Sleeping Dogs. High Moon Studios’ Deadpool didn’t succeed commercially, but is considered something of a special title, courtesy of Nolan North’s performance and the writing. However, it’s surprising that Marvel’s Spider-Man seems like the first true attempt at giving the same level of love and attention to a character the way Rocksteady did for Batman. Batman: Arkham isn’t merely a licensed franchise. It’s a love letter to all that’s come before. Considered by many to be a continuation of Batman: The Animated Series, because of the voice talent and writer Paul Dini’s involvement, Batman: Arkham represents one of the, if not the best, iterations of the character in his countless cross-media ventures. Can Insomniac accomplish the same feat with Spider-Man? We hope so. Marvel’s Spider-Man hits the PlayStation 4 on September 7, 2018.